Nurses make up a vital part of the patient care team. They develop, manage, and evaluate patient care plans and fill leadership roles at hospitals, community clinics, and other organizations. Nurses form more intimate relationships with patients than physicians since they work with them all day, taking care of their most basic needs. 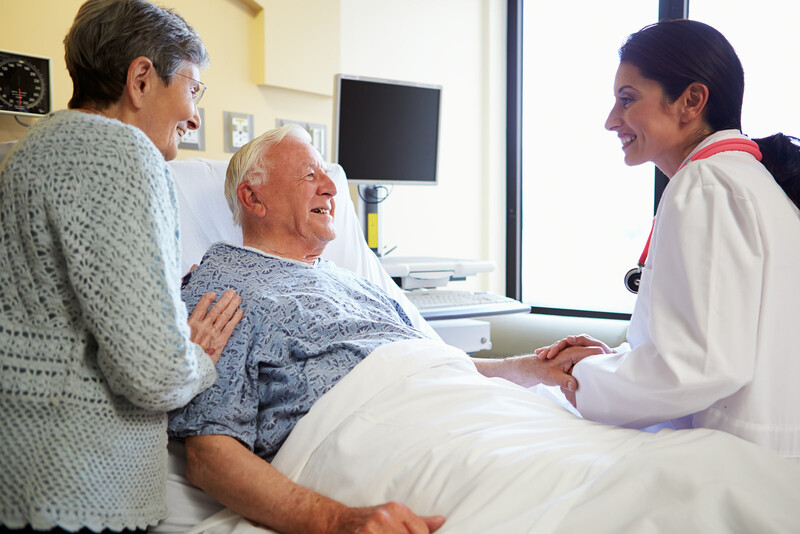 Patients depend on nurses to monitor their progress, clarify medical jargon, administer medications, tend to their personal care needs, and offer information and support to their families. It’s an exciting time to be a nurse. Changes are constant so nurses must have the latest information on care delivery and technological advances to improve outcomes and meet patients’ expectations. Critical thinking, compassion, and the clinical skills gained in the Associate Degree in Nursing (ADN) program are essential for nurses, but nurses today need more. Serving on the front lines of the healthcare system, they must have the capacity to lead change in various clinical settings. So while the ADN provides a quick path to practice, it must never be an endpoint. The baccalaureate degree in nursing (BSN) program, will impart the leadership and critical thinking skills nurses need to lead change. Whether you complete the ADN or BSN program, finding a job shouldn’t be a challenge. The current shortage of registered nurses in West Virginia has healthcare employers lining up for new nurses. Nursing students typically have jobs lined up well before they graduate, unlike other professions where graduates wait for months before landing their first job. Nurses don’t have to worry about losing a job. They have opportunities for career advancement in a multitude of directions. With additional training, nurses can become nurse practitioners, nurse midwives, clinical nurse specialists, nurse educators, nurse administrators, and much more. Nurses in these positions earn more and have more autonomy than bedside nurses. The Associate Degree of Science in Nursing Program prepares students for practice as a registered nurse. The goal of the program is to produce professionals capable of providing care in the complex healthcare environment utilizing the body of knowledge, gained in the program, to deliver quality care while ensuring public safety. Through theory and clinical training, adults develop the skills and commitment to meet the diverse needs of the community. Those who successfully complete the program will become eligible to take the NCLEX-RN to practice as a registered nurse. The ADN curriculum at the Bert Bradford School of Health Sciences at the University of Charleston requires completion of 64 credit hours. Course topics include but are not limited to health assessment, fundamentals of nursing, medical surgical nursing, mental health nursing, essential concepts for health science professionals, obstetric nursing, pediatric nursing, and pharmacology. Clinical practicum experiences in a simulated lab and various healthcare settings will help to reinforce the theory covered in the classroom. Graduates will be prepared to promote health, prevent disease, and offer physical and emotional support to restore patients’ health. They may work in the acute and long-term care facilities, physicians’ offices, home health, private settings, schools, and correctional facilities. Students will also develop other skills that will ensure their success in a healthcare environment. These include the ability to collaborate with patients to plan and implement a care plan that reflects their values and needs, make judgments substantiated by evidence, provide safe, quality, and patient-centered care, form caring relationships with patients, use effective communication to reduce risks and injuries, and use best practices to plan and implement safe care. The minimum requirement for getting into a nursing program is a high school diploma or GED. But since admission is highly competency, you must meet some other requirements to back up your high school education. One way to brighten your chances is to have some experience in the capacity of a health care provider. It doesn’t need to be from a paid position. Volunteer experience at a local hospital or nursing home may work just as well. Keep in mind that some nursing schools might require training and certification as a Certified Nursing Assistant. Compare potential nursing programs to find one that matches your learning style, budget, schedule, and location. Find out if there are prerequisite courses that you must complete before applying to the program. Once you’ve narrowed your options, evaluate the application guidelines, paying attention to the supplemental materials that you’ll need to submit. Pay attention to the application deadlines, and submit your application early. This will not only leave a good impression but also time for admissions to request any additional paperwork if needed. Most nursing programs host a nursing information session that gives prospective students the opportunity to learn more about the program. Attendees will meet members of the faculty, ask questions of the application process, and learn more about the program expectations. The test of the essential academic skills (TEAS) and entrance interview are some other basic requirements for entry to the program. Complete general education courses with a grade C or higher – anatomy and physiology with accompanying labs, freshman writing, and lifespan development. Applicants accepted on a conditional basis will have to complete a physical exam by a licensed physician, pass a drug screen and criminal background check, and attend a personal interview. The cost of tuition, fees, and expenses are some of the most important factors that will guide your choice of college. Using the information provided on the school’s website, you can determine what your tuition and fees will be. The cost will not factor any financial aid you’ll receive to reduce your out-of-pocket expenses. Nursing students will reap the rewards of their investment as they earn competitive salaries, get employed almost immediately after graduation, and receive student loan repayment and bonuses from future employers. The total estimated cost for tuition, fees, books, transport, and miscellaneous materials is $35,100 per year for students enrolled a the University of Charleston. Nursing students must also budget for supplies, insurance, equipment, and transport to the clinical site. The process for acquiring a license to practice as a registered nurse in West Virginia requires completion of two applications: an application for licensure by exam or endorsement and an application to register for the NCLEX. The application for licensure must be submitted with all the required documents to the West Virginia Professional Licensing Agency. This step is an essential part of obtaining authorization from the West Virginia State Board of Nursing to take the NCLEX. Applicants for endorsement must complete a criminal background check and provide verification of a current, active license to practice as a registered nurse in another state. Endorsement candidates may apply for a temporary permit to practice while the application is in process. Before submitting an application to the Board, make sure to read all instructions carefully. The application packet will include a Licensure Application, Test Service Application, and Criminal Background Check information. A completed Exam Permanent Initial RN Licensure Application. The Board licensure fee. The application fee of $70 must be paid using a money order or cashier’s check made payable to the West Virginia Board of Examiners for Registered Professional Nurses. The application fee is not refundable. Details of the nursing program. Provide the name and address of the educational institution, the program code number, the date of graduation or anticipated date of graduation, degree type obtained. NCLEX-RN application. Carefully read the information provided in the Candidate Bulletin to register for and schedule the exam. The Board must determine eligibility before you can schedule a date to sit the licensing exam. If you have taken the NCLEX-RN before, you must provide copies of the results of the exam(s). Attach photocopies of all exam results and any remedial coursework undertaken if you previously took the exam. If you failed the exam on two occasions, you must present other evidence of your qualifications – as prescribed by the Board. You must also wait 45 days before retaking the exam. Provide supporting documents if you answer Yes to any of the eligibility questions. Review the Attestation Statement and sign the application. Allow 30 days for processing of your application after you have submitted all the required documents to the Board’s Office. Once the Board confirms your eligibility, the test center will provide more information on scheduling the exam within 10 business days. The Exam Application and fee will be valid for a period of 6 months. You will receive a temporary permit in the mail after the Board determines your eligibility. You will not be eligible for a temporary permit if you’re repeating the exam. Veteran applicants and graduates of a nursing program in foreign countries are also not eligible for a temporary permit. The permit will expire in 90 days from the date of issue and is not renewable. It will become void if you receive notification of failure the licensure exam. Temporary permit holders must practice under the direct supervision of a licensee. 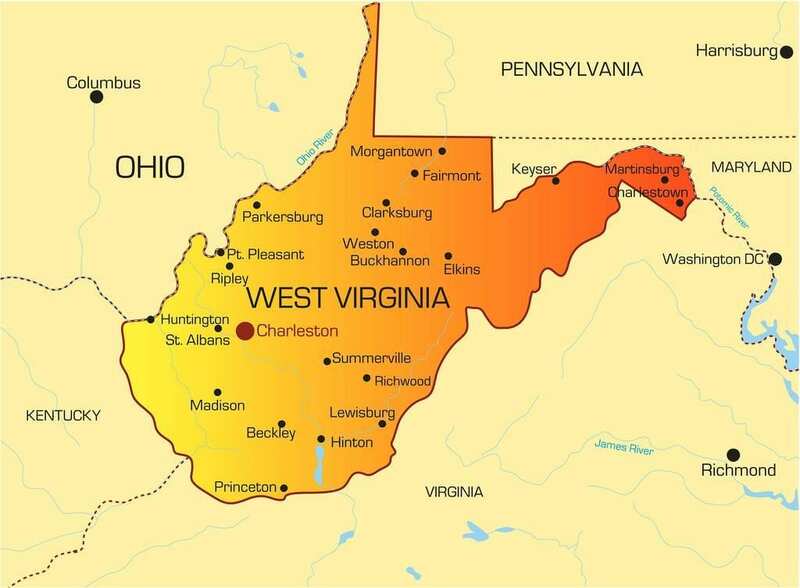 If you’re licensed as a registered nurse in another US state or territory, you may apply for a license by endorsement to practice in West Virginia. The permanent licensure fee of $100. Make the check or money order payable to the WV RN Board. The licensure fee is not refundable. Submit an additional fee of $25 and a completed application for a temporary permit if you need an Endorsement Temporary Permit. You must ensure the timely verification of your license to receive the temporary permit. The temporary permit will expire within 90 days. The fee and application are good for 6 months only. If they expire, you must submit another application and fee to process your endorsement. Registered nurses’ licenses expire on October 31 of each year. Licensees must report their continuing education activities the time of renewal. The license renewal fee is $65. Registered Nurses must complete twelve (12) contact hours of continuing education to renew their licenses annually. Courses provided by an accredited institution of higher learning that delivers academic credit can be used to satisfy the CE requirements. One-quarter hour is equivalent to 10 contact hours. One semester hour is equivalent to 15 contact hours. One continuing education unit is equivalent to 50 minutes of instruction. To meet the requirements, you may attend workshops, seminars, and conferences related to nursing, enroll in a college course relevant to the practice of nursing or complete the continuing education offerings in a professional nursing journal. Do not submit certificates with your renewals unless requested for an audit by the Board of Nursing. The projected decline in the supply of nurses nationwide is not a projection in West Virginia; it is the state’s current status. The shortage is so severe that hospitals across the state are forced to close beds or blow their budgets to hire traveling nurses to meet patient demands. While the shortage of nurses will impact the type and quantity of care delivered at the bedside, there are greater implications. Several studies link patient-nurse ratios with patient mortality, indicating that mortality rates increase when there’s a shortage of nurses. There are several reasons for a reduction in the workforce. Key among them is an increase in the demand for care from the baby boomer population, lack of interest in the profession among the younger generation, and low compensation for those who accept teaching positions. Nurse educators must work to stay on top of trends to present in the classroom, but yet they earn less than half of what they would if they used their graduate training in a clinical setting. This and other disincentives keep exciting nurses out of the classroom, forcing programs to limited admissions to the program. Nursing schools turn away hundreds of eligible applicants each yet because they just do not have the resources to admit large volumes of students. By the time they’re ready to admit those their long waiting lists, the candidates would have gone on to other careers. Another factor that impact the workforce is the mass retirement of older nurses. Close to 50 percent of the workforce are approaching retirement age. They will leave a huge vacuum that will throw the sector into a crisis if they positions are not filled. Nursing program graduates can expect to secure employment soon after graduation. In some instances, they might expect higher salaries, student loan repayment, career mentoring, and retention and sign-on bonuses as hospitals use competitive incentives to fill nursing jobs. In West Virginia, registered nurses earn an average yearly salary of $59,380.